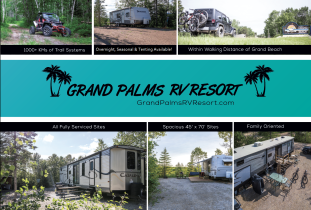 Grand Palms RV Resort is pleased to announce that we are now offering overnight camping, a tenting area as well as seasonal campsites! We are a privately owned, family oriented and pet friendly campground with a variety of new amenities coming this spring/summer and even BIGGER plans for the future!! We are located 500 feet from the East gates of Grand Beach (the second nicest beach in Canada according to Reader's Digest magazine!!) and we offer top notch customer service and experiences! 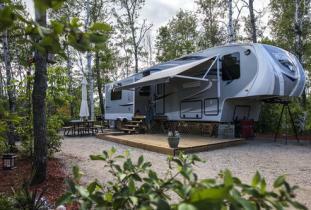 Send us an email, call, text or visit our website to reserve your spot today! Website: Visit Out Website For More Info and/or to Book Your Spot Now!